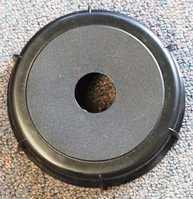 This replacement 4 inch diameter lid, complete with a central hole for a bung or air lock, is suitable for use with 25 ltr wine fermenters from Youngs or Ritchies. It comes complete with a new "O" ring. It will NOT fit King Kegs, Brewmaster barrels or Rotokegs.